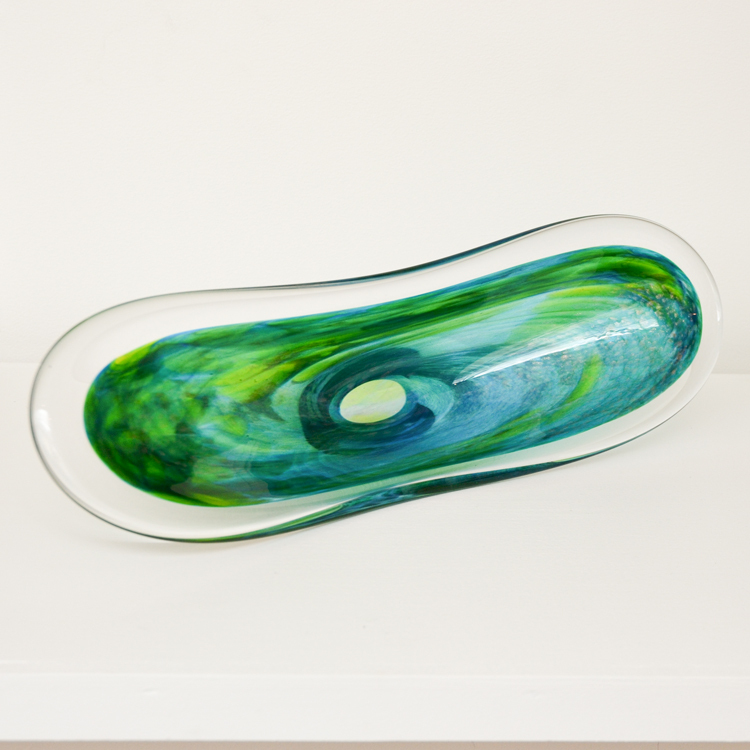 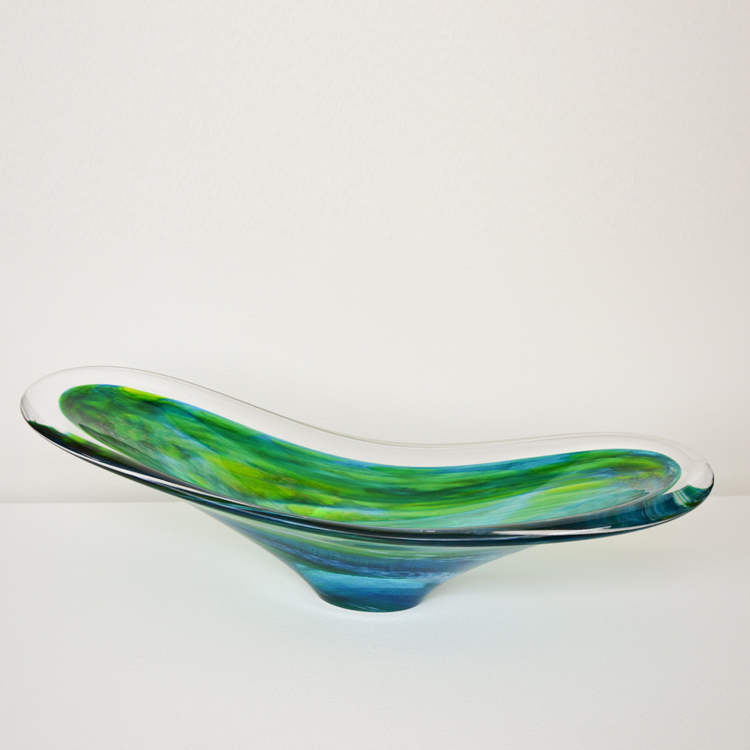 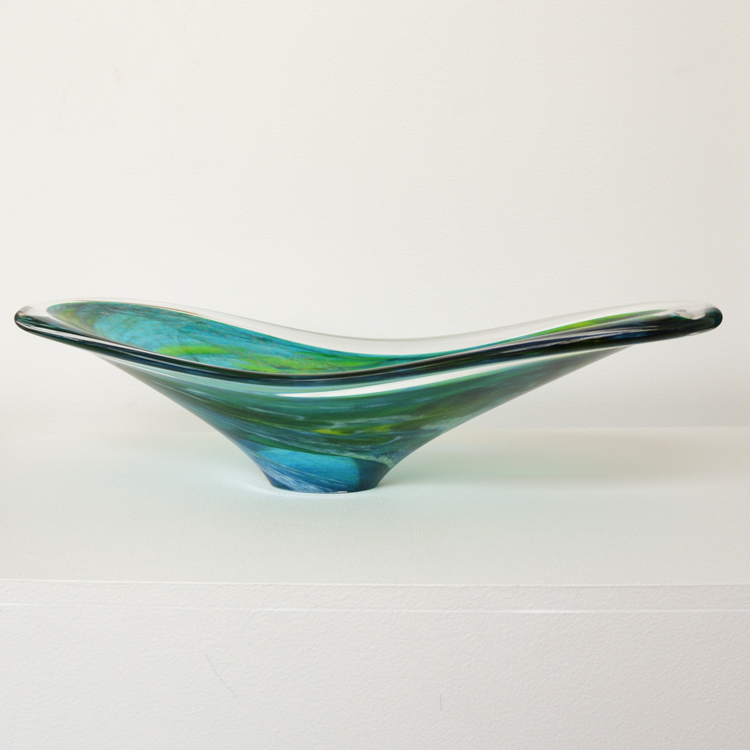 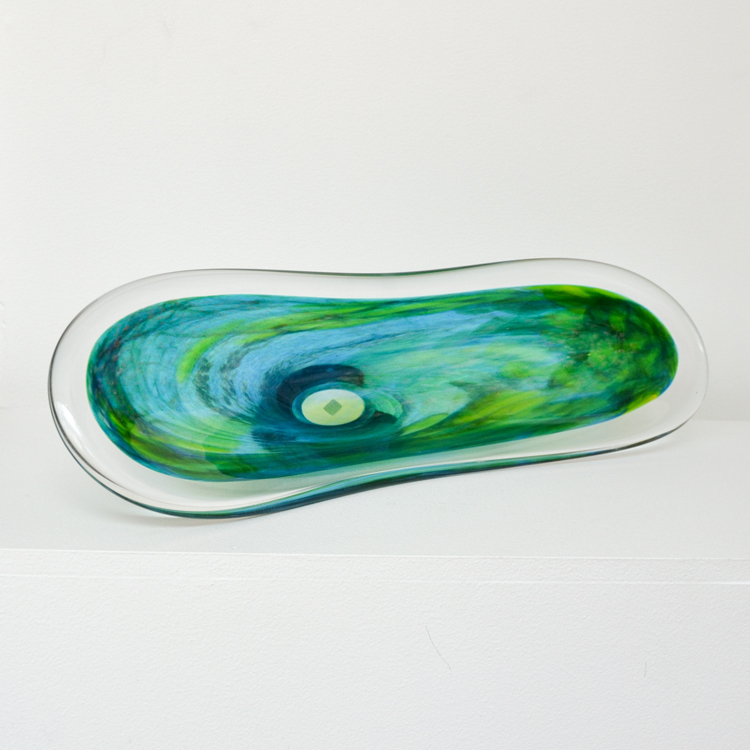 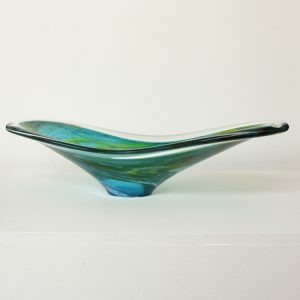 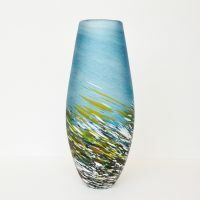 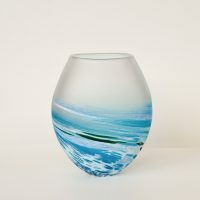 Sea and sandbank inspired glass Shoal Bowl with a combination of green, blues and clear glass with metallic golden flecks in a spiral of colour that bows out with a clear edge. 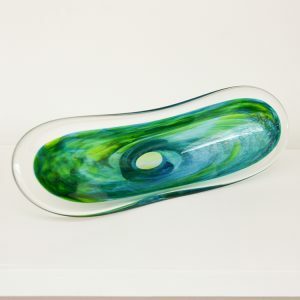 Material: White, Green, Turquoise and Clear Glass with subtle metallic gold flecks. 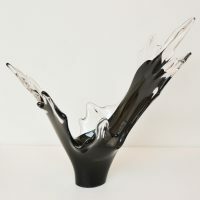 Dimensions: Height 11 cm, Length 43.5 cm, Width 13 cm, Base 7×4.5 cm.